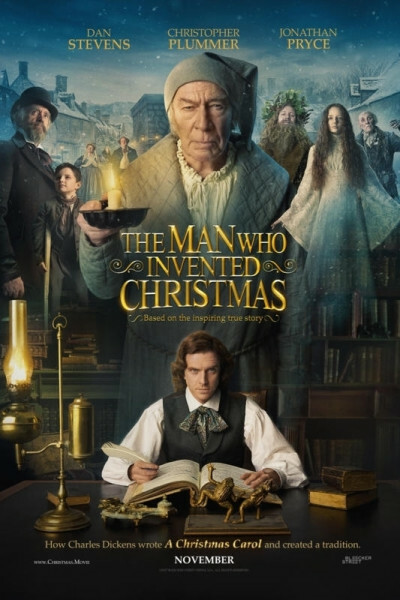 Dan Stevens' hammy acting notwithstanding, it's a delightful film based on Les Standiford's 2008 account of Charles Dickens' efforts to bring A Christmas Carol to life. Frustrating at times (because the film goes on and on and on about the many familial distractions that interrupted Dickens' manic, six-week writing frenzy to self-publish by 9 AM on December 19, 1843), it's nonetheless an endlessly fascinating, behind-the-scenes look at what, ahem, possessed the author. Having barely survived three flops following his 1838 pinnacle, Oliver Twist, Dickens was up to his eyeballs in debt. His publishers had abandoned him, and his illustrator, John Leech, demanded payment in advance for eight simple illustrations and their plates: Mr. Fezziwig's Ball, Marley's Ghost, The Ghosts of Departed Usurers (aka The Phantoms), Scrooge Extinguishes the First of The Three Spirits, The Second of The Three Spirits (aka Scrooge's Third Visitor), Ignorance and Want, The Last of the Spirits (aka The Pointing Finger), and Scrooge and Bob Cratchit (aka The Christmas Bowl). Uncertain they'd be repaid for their time and materials, the new printers Dickens chose (Chapman & Hall) calculated if they could sell just 6,000 copies, they'd break even, each succeeding dollar going to Dickens. Copies were available the following day, and all 6,000 sold-out by Christmas Eve, five blistering days later. 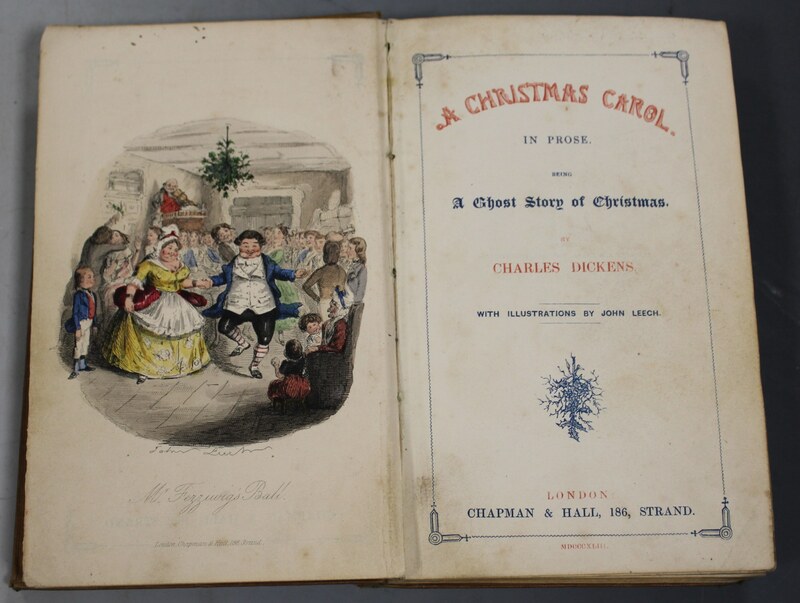 Though A Christmas Carol did not make Dickens a wealthy man, he published thirteen editions in 1844 alone, and 2,000,000 copies sold in the century following his 1870 death. In 1849, he performed 127 public readings of the newly-minted classic. 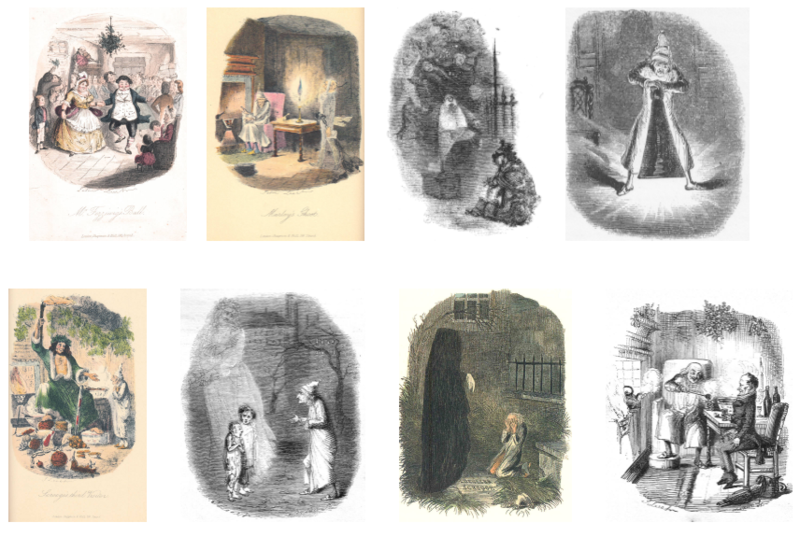 A Christmas Carol is widely credited for reviving and altogether popularizing the Christmas holiday following an era of conservative Puritanism and bleak, exploitative industrialization, and for furthering generosity of spirit. In 1844, philanthropic giving in the city of London increased 400%.